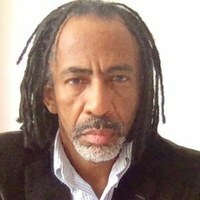 David S. Marriott, professor in the History of Consciousness Department at the University of California, Santa Cruz, will be joining the faculty at Pennsylvania State University as Liberal Arts Professor of Philosophy and African American Studies. Professor Marriott works in philosophy of race, literary theory, black cultural theory, among other subjects. His appointment at Penn State begins in the Fall of 2019. There’s more information in an announcement of the hire posted at the Penn State Philosophy Department website.